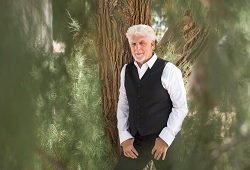 Michael McDonald will bring his Season of Peace, Holiday & Hits Tour to the Virginia in December – and there’s no better way to get into the spirit of the holiday season! Two notes. That’s all it takes to recognize the voice of Michael McDonald. Distinctive and soulful, it is one of the most yearningly emotive instruments of our times. To this add formidable songwriting and keyboard skills, and you have an artist who has been a singular musical presence for four decades. From ’70s-era hits like Steely Dan’s “Peg”, to Doobie Brothers classics such as “What A Fool Believes”, “Takin’ It To The Streets,” “It Keeps You Runnin’,” and “Minute By Minute”, through two highly-acclaimed Motown albums, genre-busting guest spots and innovative concept shows, the five-time Grammy Award-winning McDonald is both timeless and ever-evolving. His distinct vocal style also made him one of the world’s most sought-after session singers. 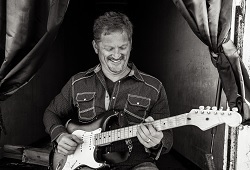 Beyond his hits with The Doobies, McDonald has lent his voice to records by an A-Z list of artists, including Ray Charles, Aretha Franklin, Vince Gill, Elton John, Joni Mitchell, and countless others.